While thinking where and how to have my vacation, I met the public relations agent of the famous skiing center Courchevel, Nathalie Faure-Bernuod, who came to Turkey from France on business. Presenting the luxurious world of snow, this French woman was far from that cold world, she warm and impatient to share what she knew with me, as I was searching for a first-class, unusual and secluded winter vacation experience. Now, I want to share the information I gleaned with you. 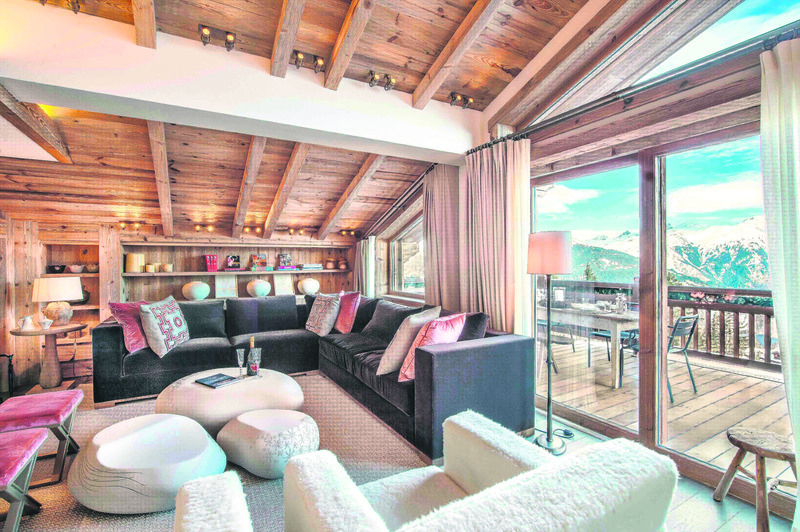 The facilities in Courchevel are the apple of European rich's eye. 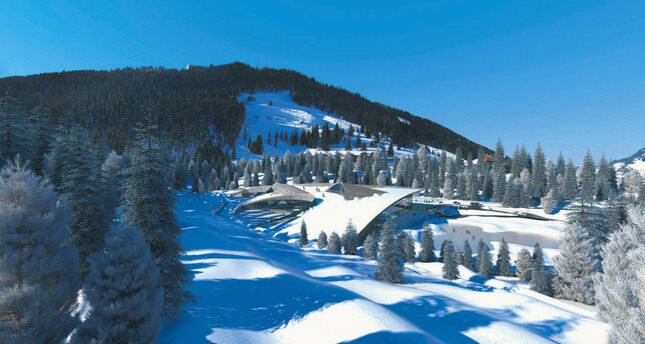 The facilities in Courchevel, which are loved by the European rich and world jetsetters, were actually established 70 years ago. I learned that there are 45 hotels in the region, 16 of them five star, while three are ultra-luxurious hotels in the palace category. Also, there are 16 hotels in France that are categorized as palaces. In this respect, Courchevel is quite lucky. Some five-star hotels are private villas. What impressed me the most was the indoor water park, salt-water pool and tide pool for surfers. Let's not forget that the numbered spas in these hotels, and visitors can enjoy a hot tub or a massage session accompanied by a gorgeous mountain view. The delights of the spas in these hotels must be explained. You arrive in Courchevel after a two-hour drive following your arrival at Lyon or Geneva from Istanbul by plane, or you can simply take the train and be there in 30 minutes. When we take the city, which hosted the 1992 Winter Olympics, into consideration, just imagine the quality of the roads climbing up to Courchevel. The skiing center also has a small airport for private jets. Yet nature was painstakingly protected despite all kinds of construction, and the hotels are exquisite. You can ski, attend skiing or cooking courses, take a ride on a snowmobile or eat at 70 different restaurants. In particular, the French and Italian restaurants are very promising. I even heard that there are extreme sports and presentations of famous artists in the surrounding art galleries. There are quite miscellaneous alternatives that allow visitors of any age to spend quality time and enjoy the winter. The center, which has five villages, has 2,000 local residents. As for work, the region welcomes another 5,000 in winter, a thousand of which are ski instructors. Both by its natural structure and advanced snow producing technologies, Courchevel has snow from the beginning of December until the end of April. In addition, let me remind you that Courchevel is the favorite place of the world's jet set. You can ski with numerous famous people on the same trail, say from Hollywood stars to Russian and Arab businessmen. I will visit Courchevel, which is a secluded celebrity vacation spot, the first chance I get and share my experiences with you. However, I believe you should get the jump on me and experience this luxurious winter wonderland for yourself. While my vacation pursuit continued, I came across the website roomsuggestion.com. The site prepares special vacation programs, just like a tailor. The site offers vacation coaching where all your special needs and preferences are taken into consideration. As its name suggests, the actual advantage the website provides is that you are able to choose your room in the hotel where you stay. When I saw that numerous similar boutique services were provided through the reservations you make on the website, I tried to find the man of action because this service is in great demand, particularly in Turkey, for the wealthy with refined tastes that demand private services. When I searched for the successful figure behind this enterprise, I found Haluk Bilen. I learned he was an entrepreneur who has spent almost 70 days a year staying in various hotels around the world for 20 years. The site has almost 60 countries in its portfolio, which is quite good. Different from a travel agency, the enterprise does not sell flight tickets or arrange visas, but it provides a more important service: The right choice of location in accordance with your demands, concierge services, restaurant recommendations, logistical planning in ideal places to be visited for the number of days and day planning according to hobbies are some of the detailed recommendations and services provided by the website. The room selection service is particularly interesting. Since Room Suggestion has the floor plans of the hotels it has an agreement with, it can find and recommend the most suitable room for you. They determine various details such as how much light your room gets, the comfort of your bed, the view and the decoration and give advice accordingly. I think it is a very interesting service that can be categorized as first class. Congratulating Bilen for his enterprise, I recommend that you book your next vacation in roomsuggestion.com. Just like other famous and refined people who love traveling.